The Walking Dead recently wrapped its ninth season, perhaps its best yet. 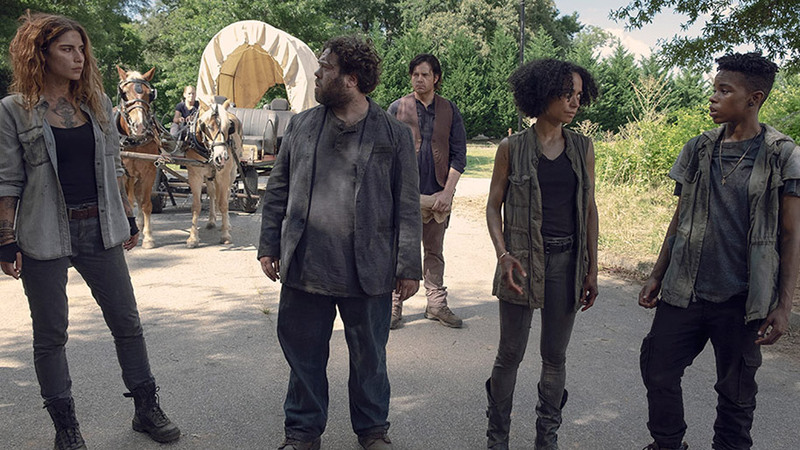 This is due in large part to longtime writer Angela Kang, who had a lot on her plate when she took over the showrunner reins from Scott Gimple, including the aftermath of losing Carl, closing out Rick Grimes‘ story on the series, time jumps, broken communities, and introducing the infamous Whisperers from the comics. Kang also brought us one step closer to Negan meeting Alpha in season 10. Considering all of that (and more) that Kang played with this season, she and her writing team steered the show back into its strengths. Instead of allowing The Walking Dead to falter post-Rick Grimes (we miss you, Andy!) Kang gracefully welcomed fans into the next arc of the story. 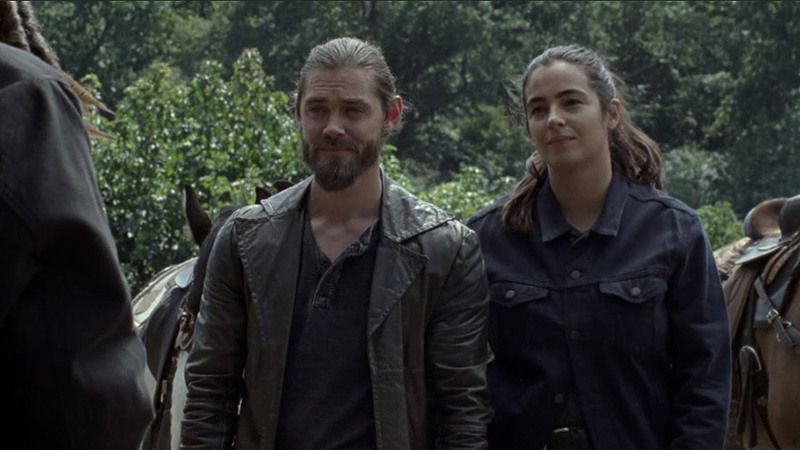 As a thank you to Queen Kang and all those involved, we rounded up 11 reasons why season nine is one of the best seasons of The Walking Dead to date. Andrew Lincoln's impending departure felt like a death sentence when the news first broke that Rick Grimes would be leaving the series. How do you continue a show without its main character? Kang and her magical writing team found a way to do the impossible. Rick went out a hero, the initial groundwork for his future movies was laid out, and his legacy remains as the series continues to thrive. Rick lives on through his sacrifice, his leadership, his relationships, his actions (the good and the bad), and his children. Maggie's departure was left off screen, as Lauren Cohan has been busy leading ABC's Whiskey Cavalier. Kang was able to navigate the tricky disappearing act while also leaving room open for Maggie's potential return next season. Not gonna lie, we were a little concerned the aftermath of Rick's "death" wouldn't play as smoothly as his final episode did, but we were wrong to ever doubt Kang. 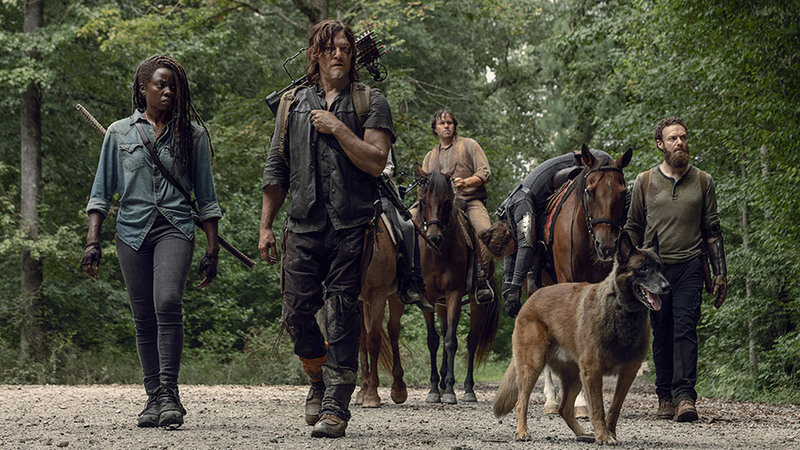 Even six years later, the loss of Rick remains a deep wound for the characters that were closest to him, namely Michonne and Daryl, which was easy for fans to relate to given how fresh the loss still is for viewers. Those moments of grief are palpable and his memory lives on with the help of emotional conversations about his missing body to Easter eggs and name drops throughout the final eight episodes of season nine. Imagine the daunting task of introducing one of the most iconic villains from The Walking Dead comics. Luckily, Kang and Co. brilliantly adapted The Whisperers, their ruthless leader, Alpha, and Ryan Hurst's Beta onto the small screen. 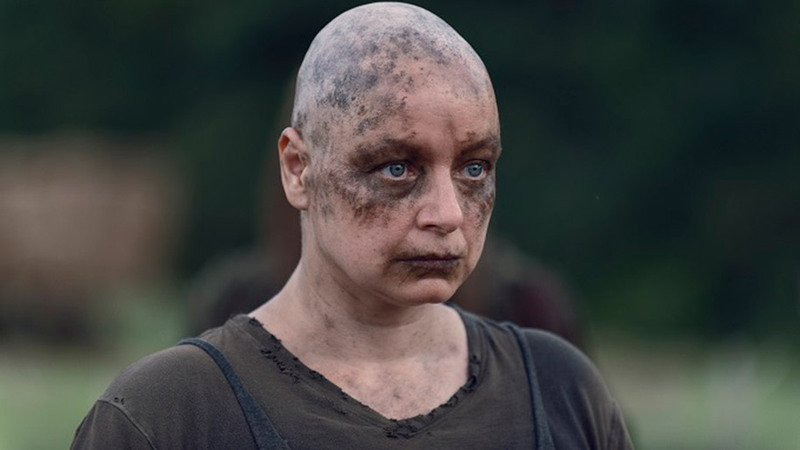 The woman who will kill babies for crying or her own people for seeing her cry was brought to terrifying life thanks two-time Oscar nominee and Golden Globe winner Samantha Morton. Alpha's irredeemable qualities set her apart from any of the previous major antagonists. Foes like Negan and The Governor were seemingly altered following the events of the apocalypse as they embraced brutal tactics to survive (and rule). Alpha is a beast who has always been an abusive mother and generally terrible person even before the undead were a thing. She thrives in the new world, rejecting the idea of humanity and of rebuilding civilization entirely. Being as quick to slice off one of her own's head as much as a stranger's gives her an evil edge and fans a true villain. 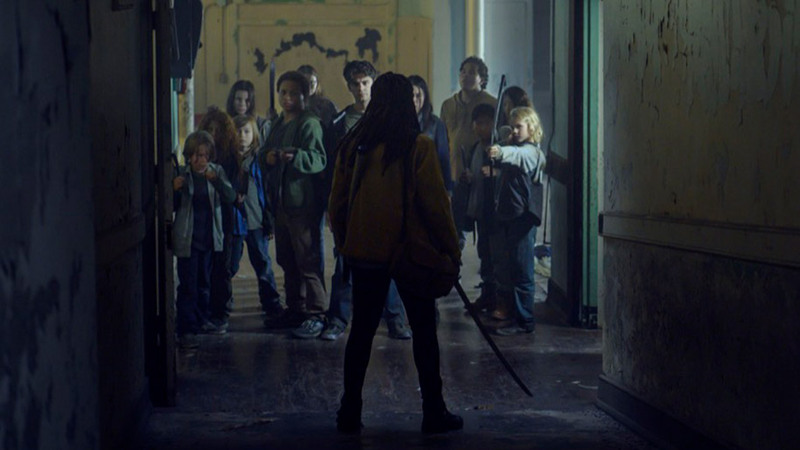 The season nine mid-season finale proved the show still knows how to balance quality storytelling with intense terror. In recent seasons, The Walking Dead has left behind its horror roots a bit, but the introduction of The Whisperers brought back the scares full-throttle. It's hard not to get goosebumps watching faces sliced, peeled, stretched, and treated into the perfect skin mask. Nothing gets the heart pumping more than realizing, holy crap, that zombie is holding a knife! For a while, there was a mixture of expected losses and shock-value deaths and it began to feel excessive even in a post-apocalyptic setting. Kang and her team exercised restraint, pulling the suspense without sacrificing characters for pure shock value and instead for the purpose of the story. The penultimate episode of the season was a perfect example, bringing to life one of the most heinous acts committed by The Whisperers. 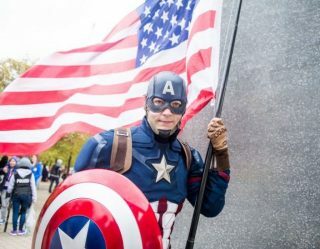 The team switched up the characters whose heads were placed on pikes so that comic book fans could have the same gut-wrenching reaction as the rest of the audience. The horror was then counter-acted with Siddiq's tear-jerking speech at the end where he honored the fallen, saying they went down fighting for each other. 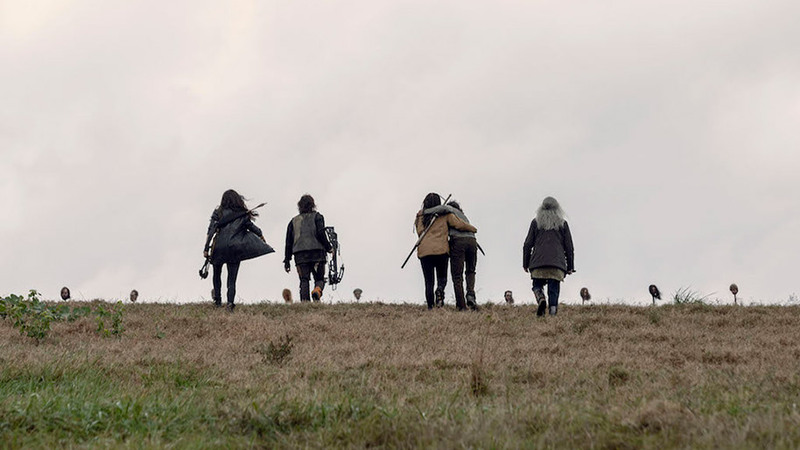 The ability to insert even a little bit of hope and beauty in the aftermath of such a gruesome event speaks to the creative power of The Walking Dead's current staff. Post-apocalypse living isn't clean and tidy. 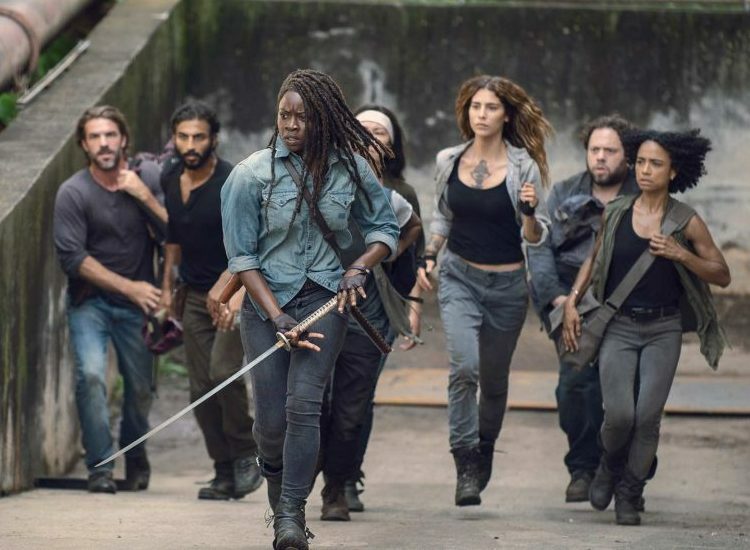 This season featured a bold narrative that included controversial storylines such as a pregnant Michonne being forced to fight for her life against brainwashed, murderous children. 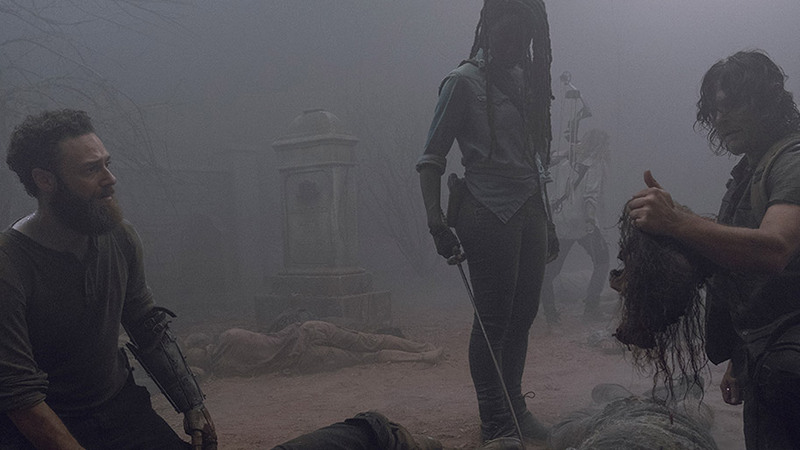 These scenes were handled carefully, leaving no doubt that Michonne had no other choice but to fight to save her kids as she desperately tried to prevent any violence. For years she (and Daryl) suffered the consequences of that day, leading to a hardened and traumatized Michonne closing the walls of Alexandria in an effort to keep her people and children safe. Kang and her writers have proven that you can have shocking moments that actually carry meaning for the characters and move the story forward. Judith is every bit the best of both worlds of Michonne and Rick. 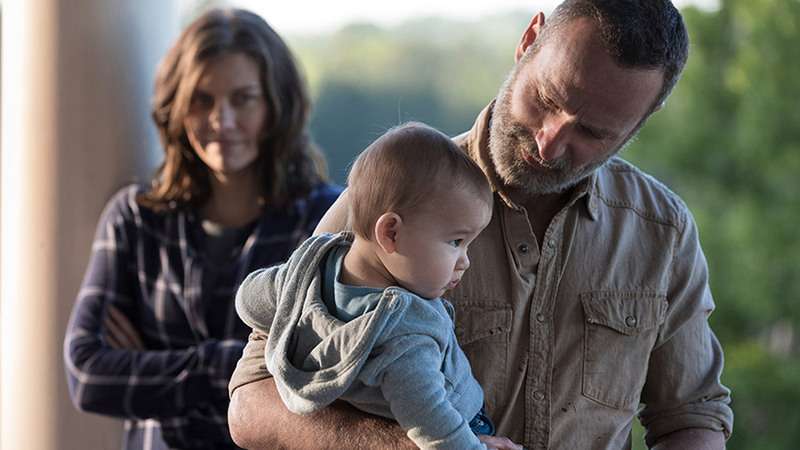 Now, before the jokes cue up about how Judith was Shane's kid, let's be clear that Rick raised her and was the only dad she knew before he died. Her father lives on through her, not just in the hat she wears but in memories and stories of him she carries with her. 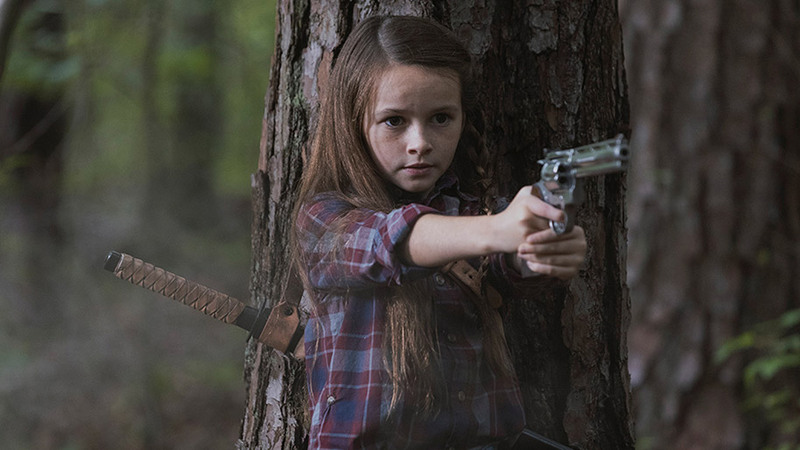 The spunky, courageous, and stubborn Judith is a prime example of what growing up in the post-apocalyptic world with no personal experience or knowledge of what came before looks like when you are raised in a supportive, mostly moral community (in a juxtaposition of the killer kids who were raised with a twisted philosophy on survival that Michonne was forced to put down). Losing characters means adding fresh faces. 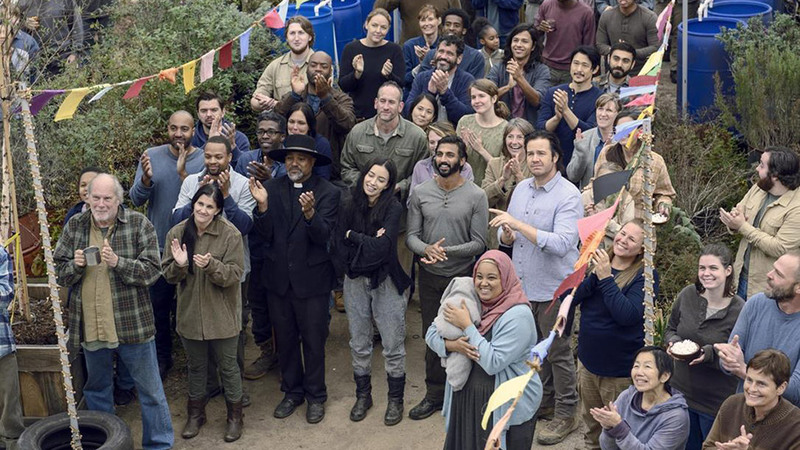 Magna, Yumiko, Luke, Connie, and Kelly have proven themselves to be loyal members of the community and brought with them even more diversity onscreen, including the first deaf star cast in the series. Also, a big shout-out to the Highwaymen, who weren't around that long and only wanted to watch some movies but were delightfully entertaining before going out as heroes. The multiple time jumps in the season and carefully planned flashbacks allowed the characters to not only deal with the aftermath of losing Rick without the entire season being only focused on that, but also gave fans a new mystery to explore in those missing six years. 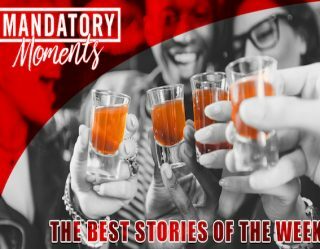 The strategically placed reveals of small and big moments lent themselves well to the story, only strengthening the entire arc of the season. The last eight episodes of season nine were largely focused on driving the narrative to one significant event: The Fair. Fans of the comics knew that with the jovial fair also came devastating consequences, and the penultimate episode of the season perfectly balanced the reunion of the communities, the success of the fair, and the horrific grand finale to the day's events. In the real world, Negan deserves to rot for bashing people's heads in with a barb-wired baseball bat. 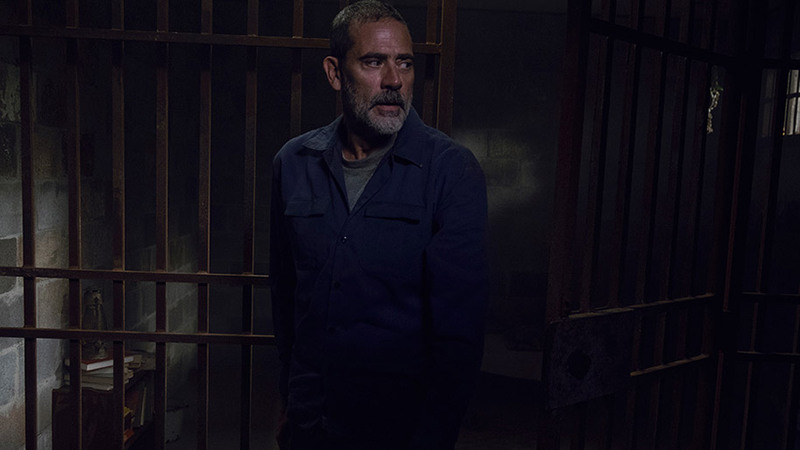 In The Walking Dead, after serving some time in jail and possibly rediscovering his humanity (with the help of one Judith Grimes), it's time to sign up the previous big bad to help take on our most dangerous foes yet. The guy might always have a sarcastic, foul mouth on him, but that doesn't mean he can't be on Team Michonne, which is what Kang appears to be setting up for next season.